Green Streets is a City of Portland program with the goals of keeping Portland's streets clean and its local bioswales healthy. Bioswales are vegetated spaces that filter stormwater runoff before it reaches the city system. The captured water can then help saturate plants and create urban green spaces. The Portland Chapter has been engaging in the Green Streets program for more than five years. 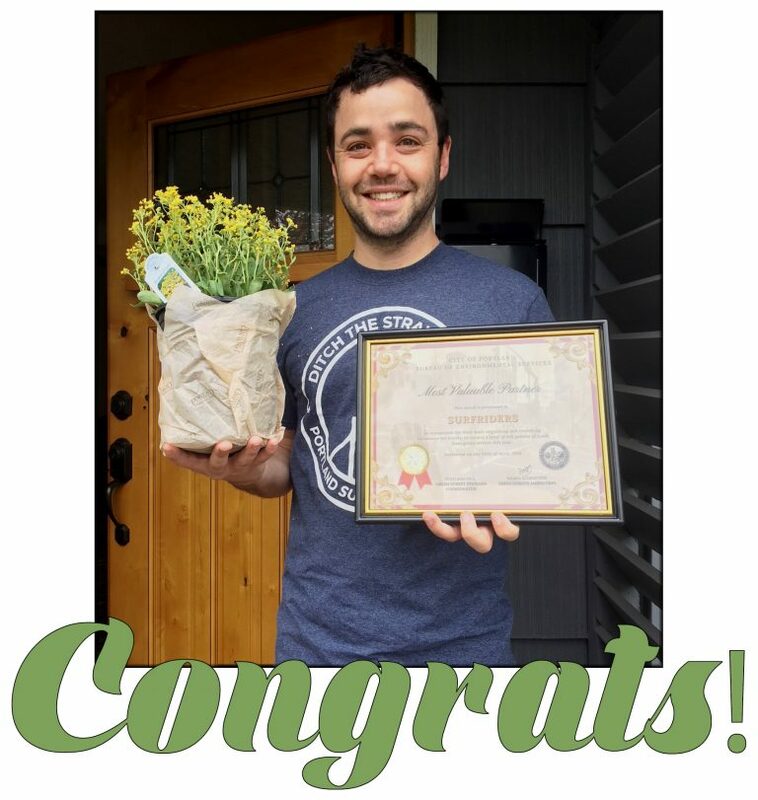 Recently, the Portland Chapter was named "Most Valuable Partner" for their contributions to the Green Streets program in 2017. 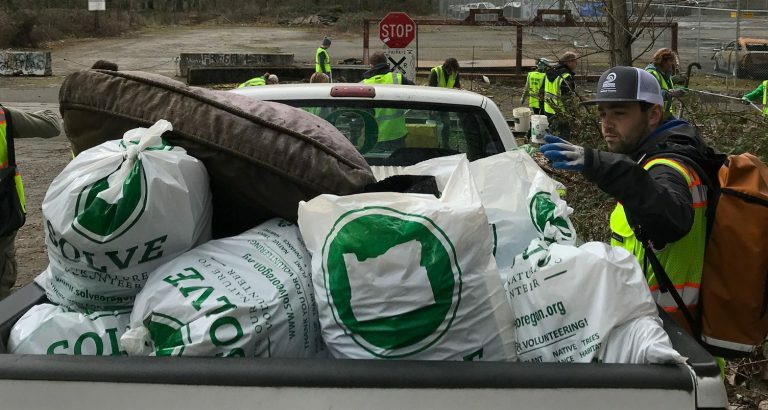 Last year, the Chapter removed 616 gallons of trash from Portland's streets, keeping dangerous litter from entering waterways and ultimately beaches. 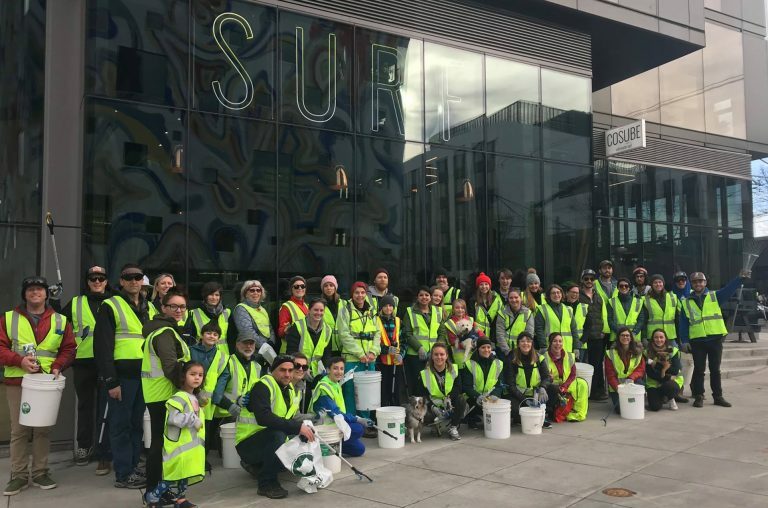 Na’ama Schweitzer|, Green Street Steward Coordinator, said of the Chapter, "We’re so proud of your dedication to keeping our streets clean and impressed by your recruitment efforts." Green Streets Program Coordinator, Ian Kennelly, takes stock of the results of one cleanup. Portland is a leader in Green Infrastructure development, and since 2003 the city has built more than 1,200 Green Street facilities to manage stormwater. In 2017 alone, Green Streets stewards throughout the city put in 639 hours to clear 2114 gallons of trash and 2107 gallons of debris from green streets around the city. That's a huge impact! The Portland Chapter's Green Streets program also recruits business partners to participate. In many cases, a business will host the volunteers for orientation and send employees out to help. When our hardworking volunteers return to the business, they are often rewarded with a tasty beverage courtesy of the hosting establishment. It's a win-win-win – promoting business stewardship, keeping it clean upstream, and showing volunteers some love! If your'e in the Portland area, join us for a Green Streets Cleanup! We meet on the first Tuesday of every month for Green Streets cleanups. The Chapter provides buckets, gloves, trash bags, pickers, and safety vests. The cleanups are kid friendly and dog friendly, so bring the whole family! Check their local events page for times and locations. See you on the streets! *Adapted from a post originally written by Sarah Mayer, Portland Chapter Secretary.